As of Today, John Cena is My Personal Coach! 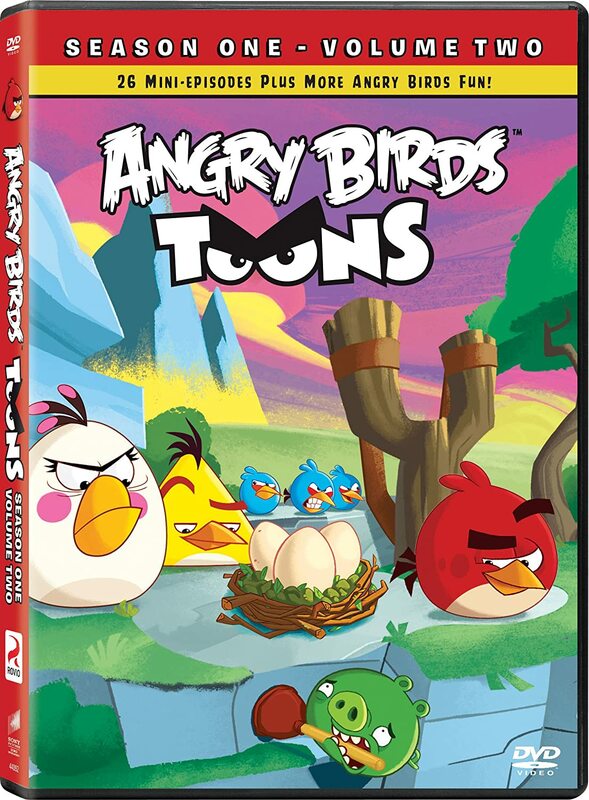 Just in time for Easter, the fan-favorite birds are back with more exciting animated adventures as ANGRY BIRDS TOONS: SEASON ONE - VOLUME TWO soars onto Blu-ray™ and DVD April 15 from Sony Pictures Home Entertainment. Fans of all ages can join Chuck, Matilda, Red, Bomb, the Blues and Terence as they attempt to foil the sneaky scheming of the Bad Piggies in 26 entertaining episodes, incorporating more than 80 minutes of Angry Birds fun. Based on the No. 1 paid mobile app of all time, ANGRY BIRDS TOONS: SEASON ONE - VOLUME TWO is the next installment in the globally beloved Angry Birds story. The whole family will get to ride along for new adventures, as the beloved birds are brought to life. The Blu-ray and DVD each feature all-new bonus material, including more never-before-seen “Meet the Characters” pods, introducing Bomb Bird, Terrence and Chef Pig. The Blu-ray and DVD also include “Easter Egg Hunt,” a holiday special in which one of the Pigs finds a golden Easter Egg and must become a master of disguise if he wants to keep it from the Angry Birds. Additional bonus features include four behind-the-scenes featurettes, taking fans through the process of bringing the characters to animated life. 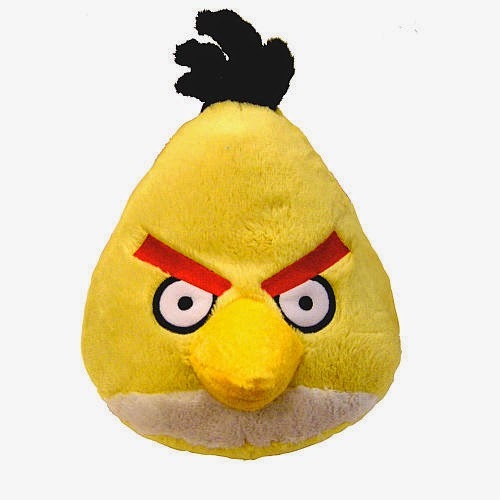 Both the Blu-ray and DVD also come with an exclusive redemption code to download the “Angry Birds Friends” mobile game Power Up Pack, which includes more than 900 Bird Coins that can be used for in-game purchases– a $5.99 value. Welcome back to Piggy Island, where the Angry Birds’ survival is at stake! Join Red, Chuck, Matilda, Bomb, the Blues and Terence as they continue to hatch up schemes to foil the sneaky Bad Piggies who plot to steal their eggs. Based on one of the most popular games in history, ANGRY BIRDS TOONS: SEASON ONE - VOLUME TWO brings back fan-favorite characters for 26 more fun-filled adventures. Will our heroes defeat the mischievous Piggies once and for all? Toon in and find out! o “Behind-the-Scenes Compositing, Tools and Color Grading” – Discover more about the kind of work that goes into the composting and color grading the animation. 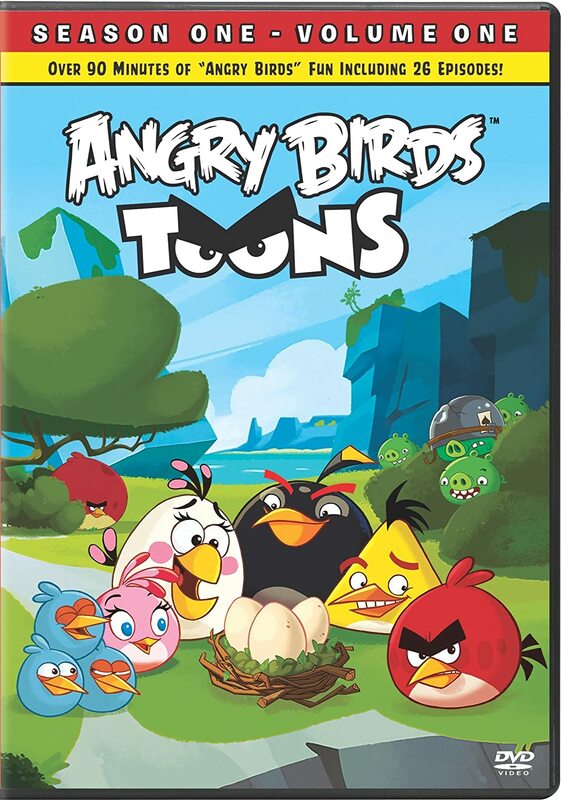 ANGRY BIRDS TOONS: SEASON ONE – VOLUME TWO has a running time of approximately 87 minutes and is not rated. 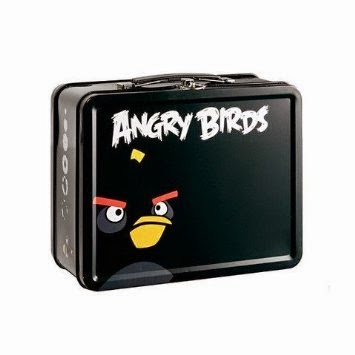 Angry Birds Toons: Season One - Volume One DVD, one plushie, one lunchbox, and one backpack. The little five year old boy I babysit would really like all of these Angry Bird things. I think my younger son would enjoy this. I would love to win this for my granddaughter Ivy. I'd like to win this for our family. I would like to win this for my daughter. Thanks for having the giveaway. I would love to win this for my daughter. She loves Angry Birds. I'd love to win this for my nephew. He is a huge fan of Angry Birds! I would love to win this for my five year old son. I know that my son would love it. I's love to win for my grandkids. I think both my grandson and granddaughter would love it. My grandsons would love this! 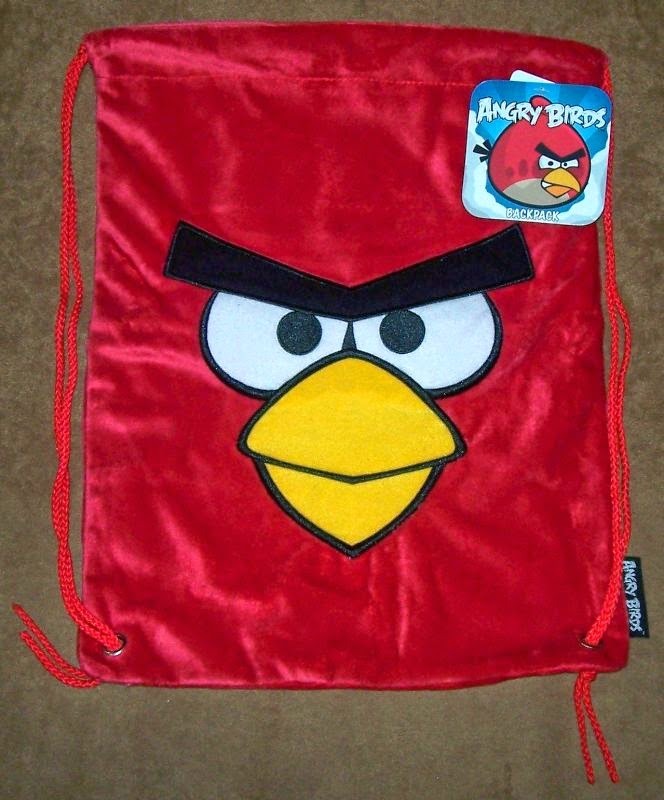 I'd love to win this for my almost 5 year old, he's obsessed with Angry Birds! My grandson loves the Angry Birds,he is blind and just loves all the songs! I would like to win this for my 6 year old son Lawson. He loves Angry birds. I would like to win this for my oldest granddaughter. I would love to win this for my sons. I would like to win this for my friend.